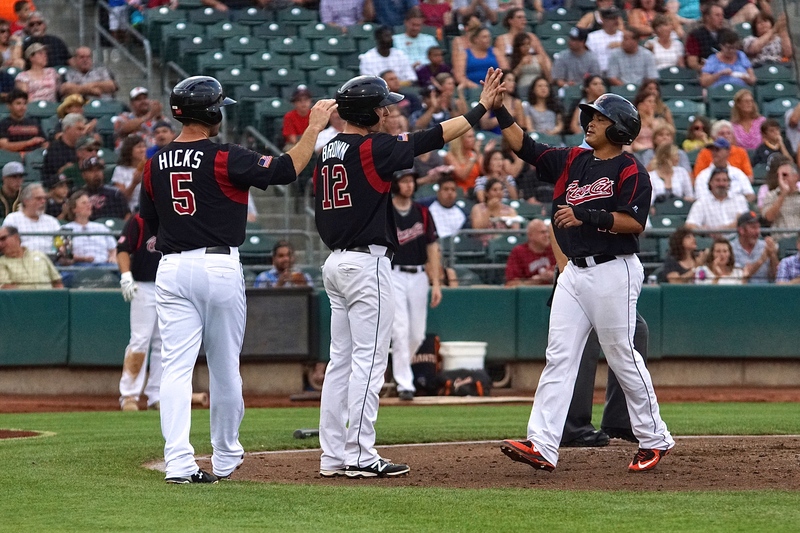 WEST SACRAMENTO, Calif.-Early scoring for the River Cats, led by Sacramento’s Kevin Frandsen, proved enough to outlast the Las Vegas 51s in a 4-2 victory Thursday night at Raley Field. 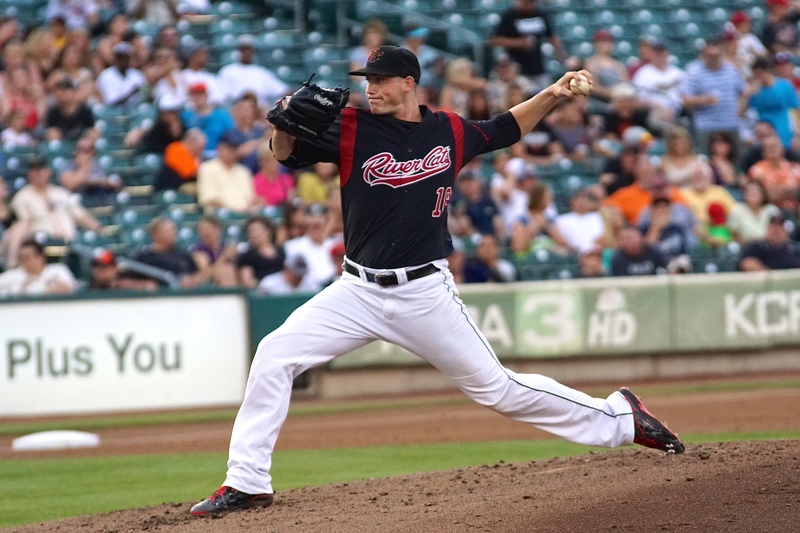 Nik Turley was excellent for Sacramento on the mound, tossing seven innings and striking out eight to match his season-high. The River Cats kicked things off early, scoring in the bottom of the first inning on Adam Duvall’s run-scoring single. Juan Perez singled with two outs and stole second before scoring on Duvall’s liner to left. The RBI was Duvall’s 80th this season. Sacramento kept adding on, scoring three more times in the bottom of the second inning. Trevor Brown and Brandon Hicks hit back-to-back singles before Everth Cabrera was hit by a pitch to load the bases. 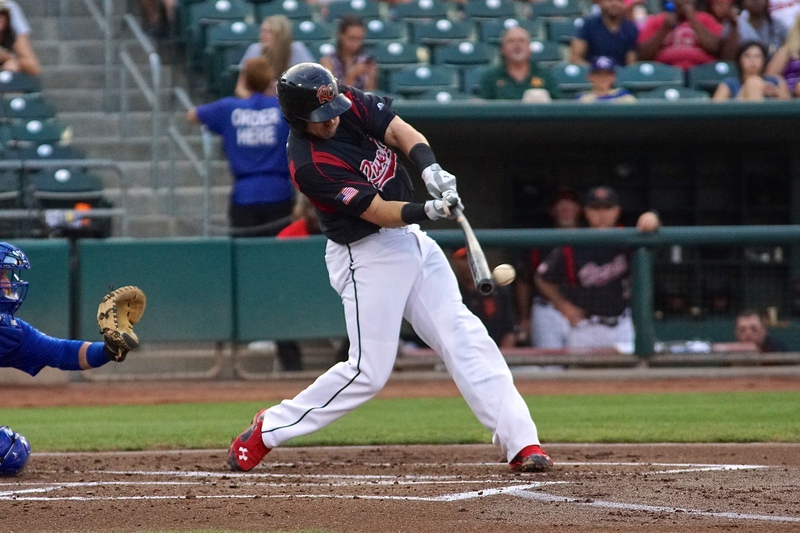 With two outs in the inning, Frandsen smoked a high drive to deep right-center. The ball short-hopped the wall as Frandsen cruised into second standing. The double cleared the bases and put the River Cats up 4-0. 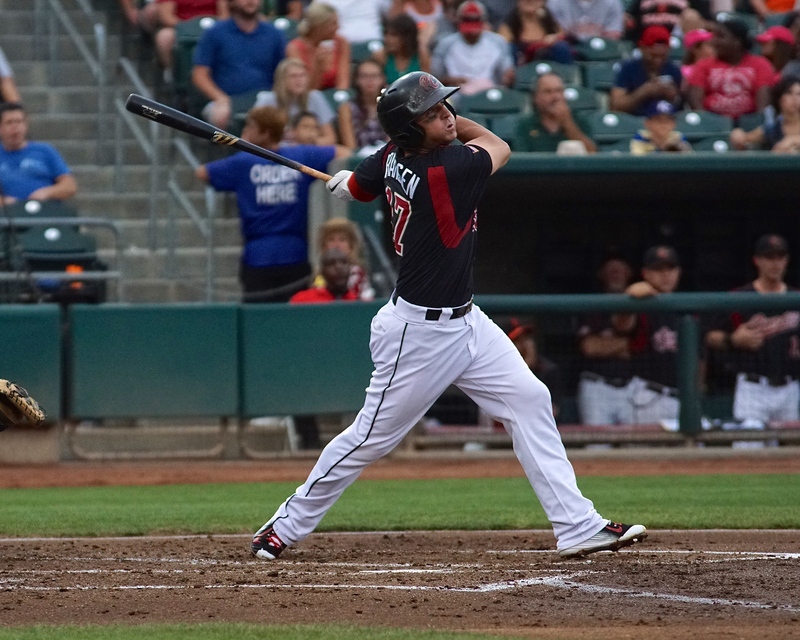 The double was Frandsen’s 13th of the season and gave him RBIs 29, 30, and 31 on the season. Nik Turley (5-5, 4.90) put on another strong performance as he went seven innings, scattering just three hits and giving up one run with one walk. The southpaw also struck out eight in the outing, tying his season-high. This is the third time Turley has struck out eight in a game and the first time he has pitched seven innings this season. Erik Cordier recorded the save, his ninth of the season. He threw 1 1/3 perfect innings while striking out two. Late in the game, news broke that the San Francisco Giants had acquired right-handed pitcher Mike Leake from the Cincinnati Reds. 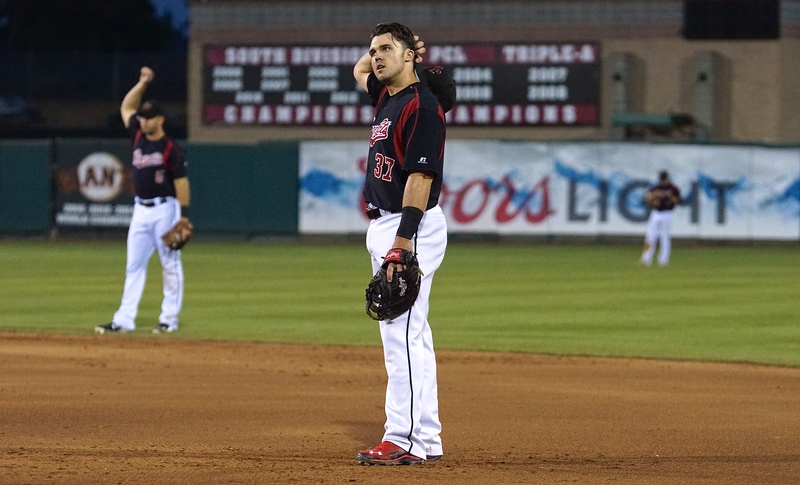 Shortly after, infielder Adam Duvall was pulled from the game for the River Cats. It was confirmed after the game had concluded that Duvall was included in a trade to the Reds to bring Leake to San Francisco. 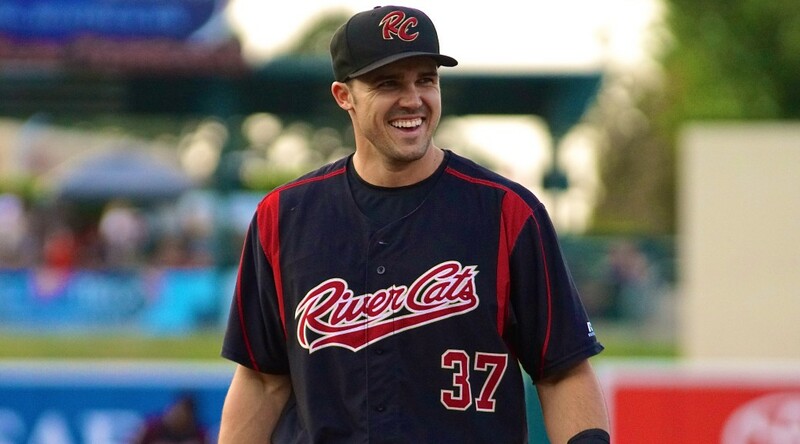 Duvall posted excellent numbers for the River Cats in 2015, hitting .279 with 26 homers (2nd in the PCL) and 80 RBI in 100 games. He had a hot July, hitting .346 with 10 home runs and 30 RBIs coming into tonight’s game. 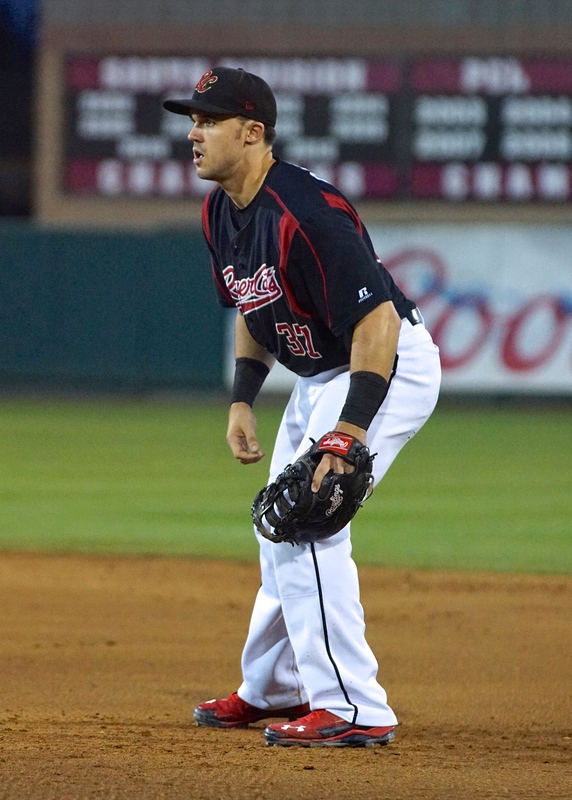 He also started at first base for the PCL All-Star team earlier this month. Sacramento looks to take the series tomorrow behind right-hander Curtis Partch. He will make his first start for the River Cats this season. Partch has made 36 appearances in relief and has posted a 1-2 record with a 3.65 ERA. Las Vegas will send right-hander Logan Verrett (3-1, 2.93) to the mound. First pitch is set for 7:05 p.m.